Is This Polarizing Denim Trend on Its Way Back? What goes around comes around. Fashion is perpetually fascinated with throwback looks from past decades, and this season is no exception. At Tibi's S/S 17 collection, we noticed one retro trend in particular: acid-washed denim that looks like it could have come straight from the '80s. But instead of pairing it with cliché pieces like neon graphic sweatshirts, the brand teamed the jeans with neutral, modern-feeling pieces—specifically an army-green blouse with statement sleeves and a black-and-white top with a blazer. The on-trend items gave the '80s jeans a thoroughly contemporary feel, resulting in cool looks that might be enough to convince naysayers to try the trend again. 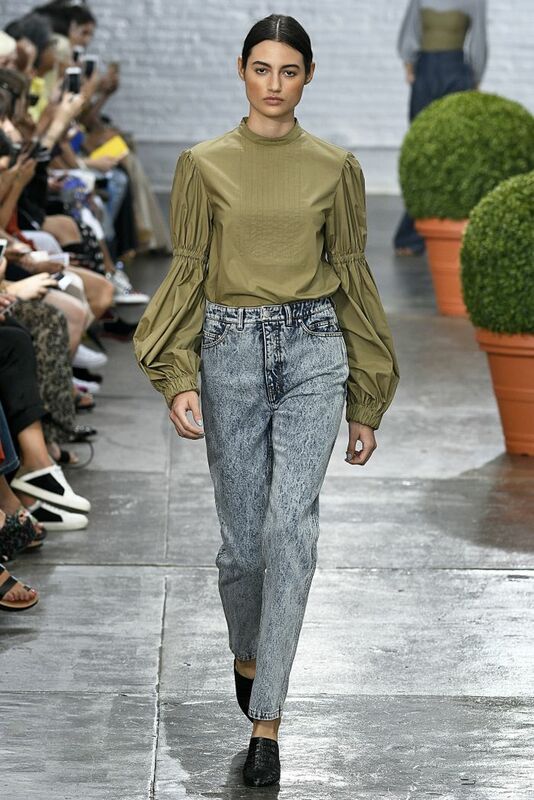 Scroll down to see how Tibi interpreted the acid-washed denim trend for S/S 17! What are your thoughts on this denim trend? Tell us in the comments below, and then shop acid wash jeans if you're on board with the look!